← Read This Month’s Analog to Read My Latest Story! Pictured: My friends and I. Guess who I am. Once, in the dim mists of the past century, there was a glorious world wrought by the wizard Gygax. Deep dungeons, dark evils, and boundless adventure awaited those who journeyed there. The realm flourished and grew – Castle Greyhawk was joined by a vast world. Still more worlds came into being, each orbiting each other in the prosperous Prime Material Plane – Toril, Krynn, Sigil, and others. Sailing ships powered by bright magicks plied the Phlogiston between them. Heroes propagated by the millions. In this bygone era, I was a ruler of such worlds. I wrought such wonders that those who found them were awestruck, and I laid such miseries upon the land that my name was spoken only as a curse. Heroes flourished beneath my gaze and I, myself, journeyed oft into the worlds of others to earn my own fortune. But all was not well. The Worlds laid out by mighty Gygax were governed by irrational structures and fundamental laws. Though we of the People were well accustomed to their Byzantine vagaries, it was decided by gods more powerful than ourselves that a new age should dawn – one where the fundamental systems of the world were more logical, more sensible. So it was. But with this change came other, less positive changes. With the dawning of this new era, the worlds themselves – the ones I had walked for many years – grew stale and old. New worlds, made to replace the old, were pale shadows of what had come before. The gods who inherited the world from Gygax withered as their followers left and pursued other dreams and other worlds. I was among them, having grown weary of the dusty worlds of Gygax and hungry for new and greater adventures. At length, starved of worship, those ancient gods died off. Then came the New Gods – great gatherers of many-colored magicks, and wise in the ways of managing such worlds as Gygax had created. Or so we thought. They brought in a new era, one where the old systems were wiped away and replaced with a new one, so unlike the original that it was scarcely recognizable. Though still more streamlined and efficient than the old ways, it still lacked the life and vitality that Gygax had originally intended. It was solid, workmanlike, but hardly inspiring. I, from my seclusion in the far off worlds of Master Laws and Lord Wick, did not return. 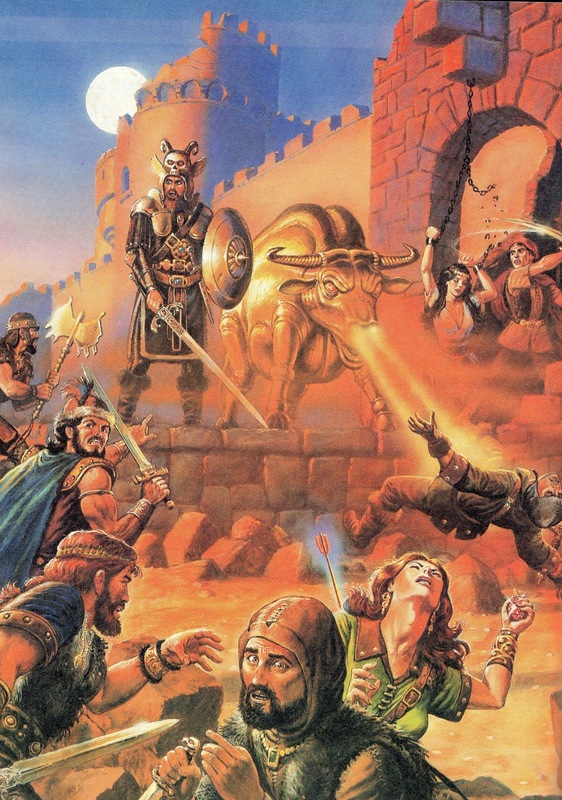 Posted on September 5, 2014, in Gaming and tagged Dungeons and Dragons 5th Edition, Gary Gygax, RPGs. Bookmark the permalink. Leave a comment.